With fidget spinners being all the rage, I just *had* to make a fidget penny spinner! 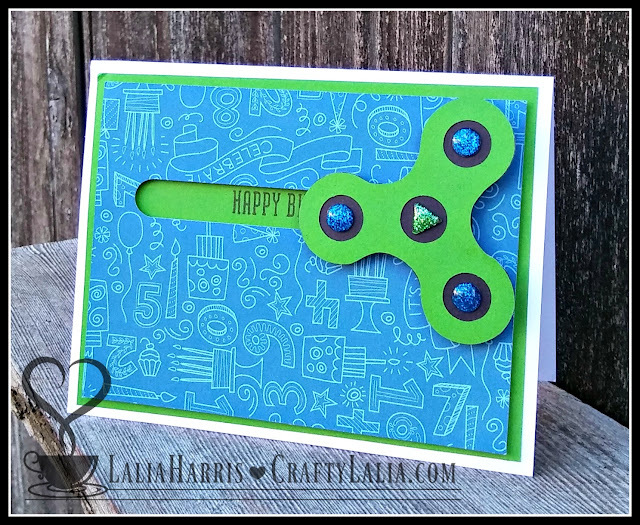 This is the card I created for my son's birthday last week. I used the long retired Confetti Wishes blue paper and the new Willow Cardstock to give a Seahawks vibe! Creating in birthday - stealth mode, I didn't create a video, but a slideshow from still shots I took so he wouldn't hear me talking. If I say "fidget," his ears perk up. I used Sway, a Microsoft Office product, for this slideshow. It was pretty simple to create but it appears that you'll need to manually click through it. It will take a few seconds to load. I'd love to know how it plays. I actually thought it would export to an MP4 so I could upload it to a video. This is the link to the Design Space file that contains the slot. The Fidget Spinner piece is an SVG file. I cannot share this file if it contains the spinner because it's an uploaded SVG. Use Detach prior to resizing. Then click Attach again. I didn't use Slice because I wanted the ability to adjust the size of the spinner hole. This is the link to the Fidget Spinner SVG. I sized it at 2.4" tall. I also duplicated it and used the Hide Contour feature to hide all the inner circles on the black layer. In reality, you can also use your paper trimmer to cut a rectangular slot with your paper trimmer. Just make it about 1/16" taller than your foam dot. Other penny spinners I've created: This was a Stamp of the Month from May 2013! This is the link to the round slot. All of these cards were designed using 3/8" 3D foam dots. I used these dots. They're 3/8" and 1/8" thick. 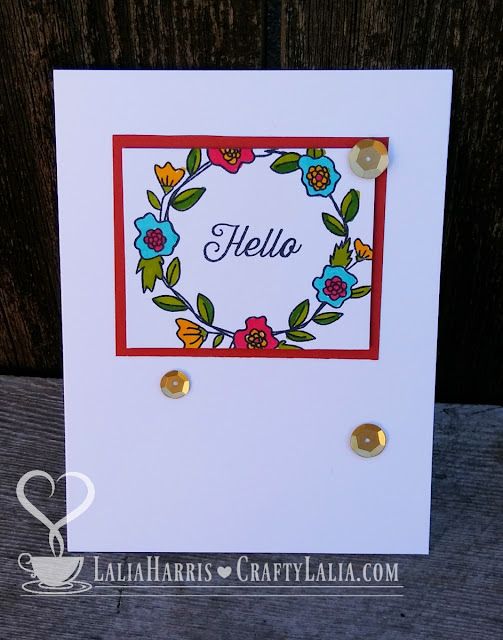 Some dots are super thick and make for a very bulky card. You'll need plenty of 3D foam for making the layers. DO NOT use the thin foam or you penny won't spin freely. It's wonderful for cards, just not these cards. 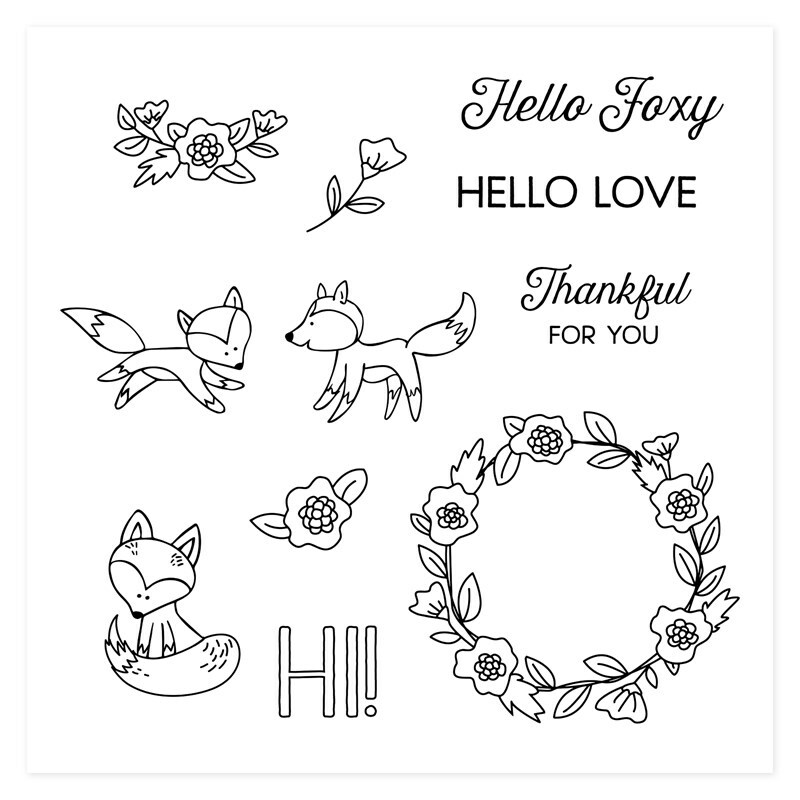 Today I'm sharing with you a stationery folder I created using the new June Stamp of the month, Hello Foxy. My kit is called A Foxy Hello because I don't want you to think that this is a romantic card kit. This stamp is just $5 with a $50 order this month. Or $17.95 purchased on its own. 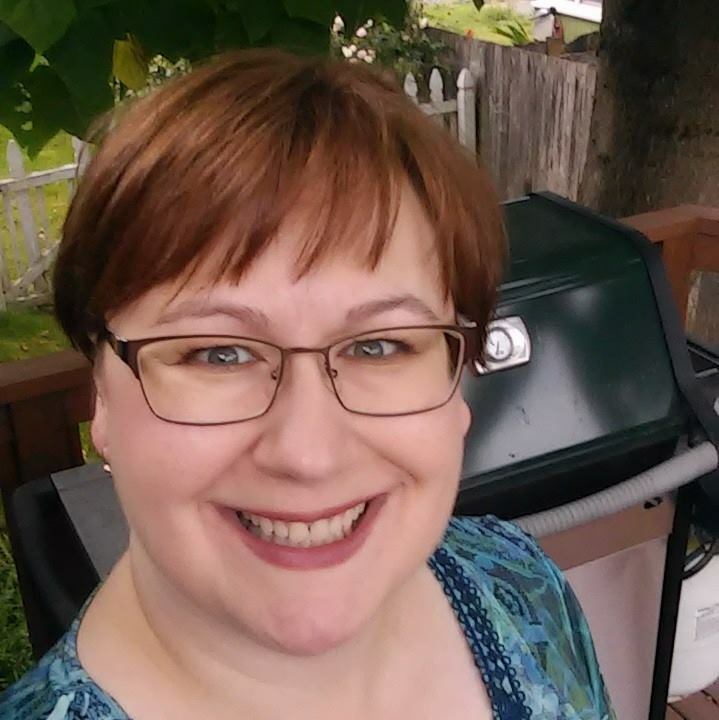 I'm having a Crafter Afternoon on Sunday, June 25th at 3pm. Participants will create the folder and these 8 cards. I used my favorite colors, Cranberry and Lagoon to accent these cards. 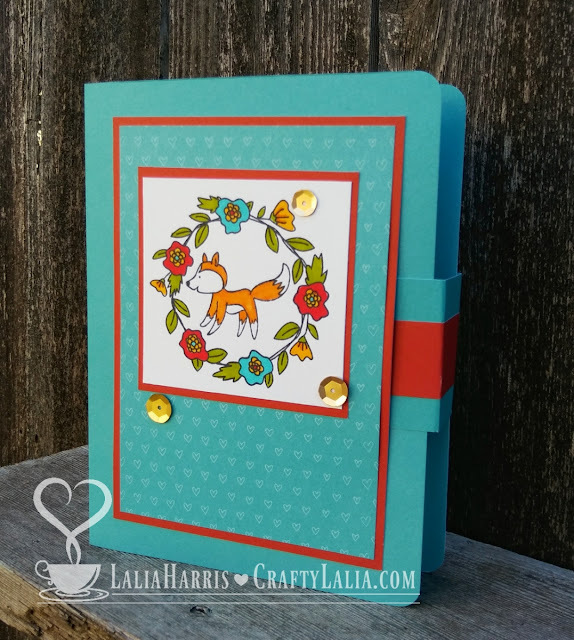 This card folder and the cards were designed by Cassie Ingersoll using another stamp set this winter. She's a sister CTMH consultant in New South Wales, Australia! If you are part of Naomi's Connected Hearts team, you'll find the instructions in the Connected Hearts Facebook Group in the files. To complete these cards I use our Shin Han Markers, Gold Sequins, Journaling Pen and Extra Thin 3D foam tape to complete the cards. All images were stamped with Memento Tuxedo Black ink because this is the best ink for working with alcohol markers. When you attend my workshop, you'll get a Journaling Pen & a full pack of Extra Thin 3D Foam tape in your kit. 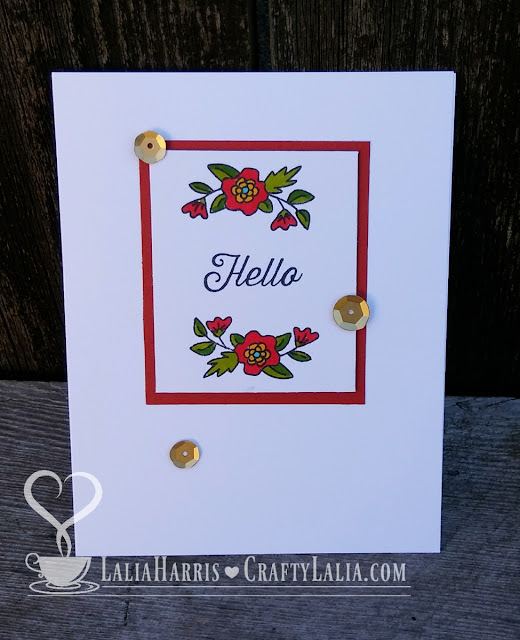 When you attend this workshop, you'll be able to any of my sentiment stamps to customize this kit to your needs. This card used the Cherry Pink instead of Carmine. Both will work! Shin Han Markers Carmine (red), Leaf Green, Vivid Green, Golden Yellow, Marigold, Turquoise Blue. Tender Pink and Pastel Peach are optional as they're used minimally. I blended Marigold with Pastel Peach for the foxes. I also used Pastel Peach on the fox face. Attend my workshop on June 25th. Cost is $20, RSVP with Payment by June 18. Request a pre-stamped kit, local pick up or shipped $22, shipping $6. Message me to receive a PayPal invoice or my address to send a check. Kits will be shipped the week of June 26 if your order is placed by June 18th. Kits ordered in June after the 18th will be shipped by July 15th.